Well thats a wrap for CommanderCast Season 10. I hope you all enjoyed the ideas I’ve brought to the table in Staple Remover. Hopefully if you had gotten caught up in the arms race in your playgroup, or if you just wanted some unusual ideas, I was able to spur some creativity with your deck construction. I am not some staple-less saint trying to preach to you had to play, I too have benefited from this season by rethinking my card choices right along with anyone reading this series. To hold you over for a few weeks, until you can once again sate your thirst for more commander related content in season 11, I bring you a tool you can use to tweak your deck designs. I’ve heard people say “Yes I run X card(s) in here, but I don’t like to play them usually.” Or I have even heard “The only way to win at multiplayer is to combo out.” Is this going to be my rant against infinite combos or combos in general? No! I think combos are perfectly fine to run, even the infinite variety. 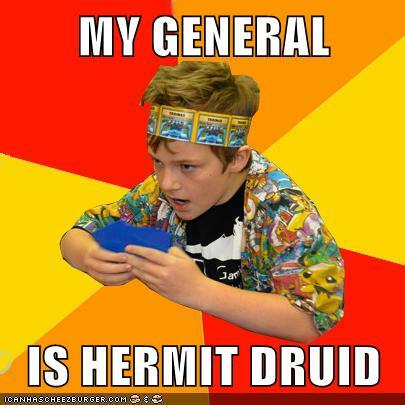 I also do not think they are required to win a game of commander. If you have read some of my other articles this season I have been pushing the idea of incorporating more synergy in your decks in place of loner hero combos. Getting all those singletons working together sometimes leads to great combos you didn’t even purposefully include. I think the important point is not whether you have combos or not, it is how efficient are they. Some people like playing in competitive metas where its a race to assemble your doomsday machine in the very early game. 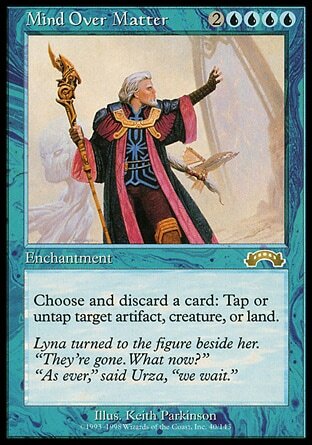 Other commander players live for that “remember when” moment when they finally won with Chance Encounter. The key is to try to be on a similar level as most of your playgroup. However I have seen plenty of other people who try to assemble their doomsday machine in the very early game, but don’t necessarily enjoy it. Their own decks are exceeding the power level they find fun. Try to evaluate your wincon using this handy deck building tool. Inspired by the DEFCON rating I have created the WINCON rating. Nuclear deployment of full Wincon is imminent. Wincon warhead delivered by a single card combo. Running something like Tooth and Nail to an instant win duo will finishes the game off outright. Game annihilation is only a two card combo away. Mind Over Matter and Temple Bell or another 2 card doomsday machine is unleashed to secure a quick victory. Opponents are on heightened alert that you are closing in on victory. 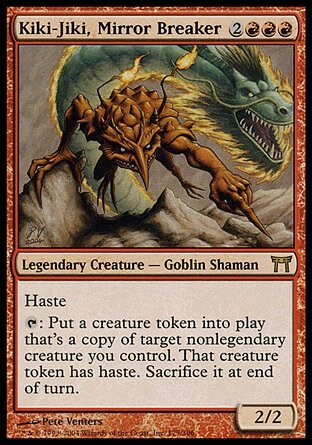 A three card combo or a big fast aggro mass of tokens are staring down your opponents demanding an answer. A building board state may have caught the eye of an opponent. A convoluted multi card Johnny combo, or an increasingly impressive board state may be able to churn out enough value to go all the way. A calm state of durdle. Cards have tapped and untapped and other cards have changed zones. Take a look at the wincons that you are running in your decks and try to think of where they fit on the WINCON scale. If your condition of victory is a real groaner for your playgroup, your level might be completely mismatched to that of the rest of your playgroup. WINCON 1: You should probably only be at WINCON 1 if your playgroup is very competitive and most players have decks that are optimized to win within the first 5 turns of the game. You know your opponents will be running their own strong finishers as well as efficient ways to stop your attempt. If you unleash WINCON 1 on a more laid back playgroup it’s going to be similar to throwing dynamite into a stocked trout pond. No one is going to enjoy that fishing trip. WINCON 4: This level is going to be suited more for casual playgroups where you have time to build up a board state the old fashioned way. 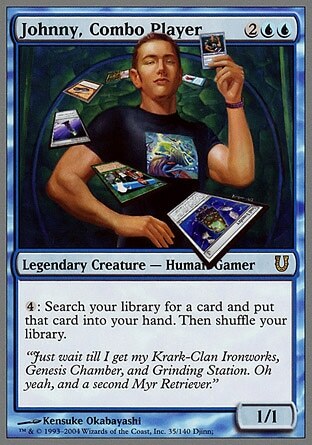 Also maybe you have some silly five card combo that you never seem to pull off, but can’t wait for that one day when your plan comes together. Games where players are at WINCON 4 will most likely take longer to finish because board states may tend to stall out for longer with no big world cracking finisher. If your playgroup tends to be at a more heightened WINCON your deck will probably feel too slow to get much of anything going. WINCON 5: Someone just cast 3 spells, bounced 5 of their own permanents and exiled their exiled zone, bringing them no closer to victory than at the beginning of their turn. WINCON 5 is great for very casual groups who prioritize style over winning. Can they get all factions represented on the board with their Game of Thrones deck before a wipe? Can they donate all of their permanents to an opponent and then Mindslaver them for a big weird turn? There is plenty of wild fun to be had here if your playgroup is on the same page, but if you bring this marshmellow of a deck to a WINCON 1 or 2 bonfire, you’re going to be choking on smores. I personally enjoy being at WINCON 3 or 4. I like putting together a big game ending threat, or trying to get all three or 4 or my combo pieces in place. I also like giving my opponents a chance to interact with my devious plans in a meaningful way. I think victory is sweeter when I manage to pull a slightly convoluted plan together. I do have decks that run gammut from 1 through 5 so that I can gel better with whatever my playgroups WINCON level may be. I big component to everyone being entertained and having fun is identifying which WINCON level your deck is at compared to those in your group. Try to match your decks WINCON to what you enjoy and also what your metagame typically brings to the table. So during this break I urge you to ask yourself, “Am I dynamiting my opponents trout pond?”. If the answer is yes, you may want to lower your WINCON alertness level. Because that makes sense.